Expecting Rain • View topic - A "New Tour" in 2018? A "New Tour" in 2018? What will the opening song be in 2018? Post subject: A "New Tour" in 2018? I've been wondering if the "Neverending Tour" ended in 2012, and a new one, call it the "Things Have Changed Tour" began when he returned in April 2013. Since then, for five years, he has opened (virtually?) every show with "Things Have Changed" and stopped changing up the shows on a nightly basis in favor of a static setlist. 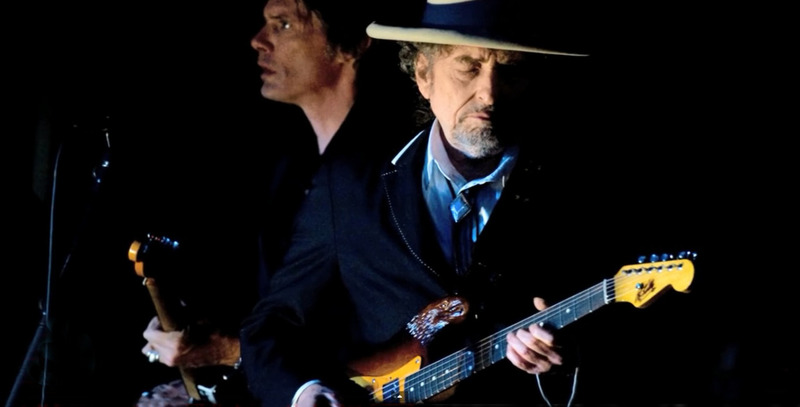 Five years of the same opening number is obviously unprecedented for Dylan. What are the odds 2018 features a new opening song and a new format? Post subject: Re: A "New Tour" in 2018? It wasn't on the set list at Desert Trip (7+14 October 2016) and in Rome 2013 (6+7 November), but yes, it's been played a lot. I still like it... but I'd prefer a song from his next album. For the next few years he should open with a cover of Yummy, Yummy, Yummy by the Ohio Express. Things Have Changed is for my money, "that thin, wild-mercury sound". So he should keep it and he will keep it but I do believe that he does need to fit I Dreamed I Saw St Augustine in somewhere. Blowin' In The Wind possibly. Who knows? I'm for it as an opener, esp. considering how these times are. Of course, "Things have Changed" because it's a joke. Nothing has changed for years now, except a few Sinatra cover being rotated in and out of the same set list. I think Things Have Changed should stay. I think it sums up Dylan's feelings of his sixties political standpoints and how he feels about some of the same stuff today - 'I used to care, but Things Have Changed' seems like a different viewpoint from those expressed in The Times They Are A-Changin'. I think he feels he's done his bit about being a spokesman for a generation and has passed on the torch to others to continue the good work. Means more to me than That Old Black Magic anyway!